Throw Back Thursday: Originally posted on July 31, 2011. 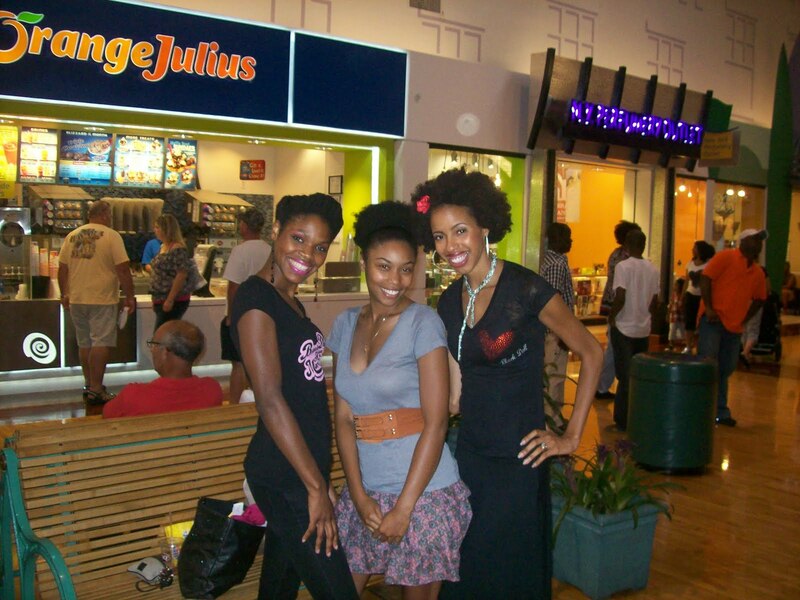 Let’s keep it really real… you walk into a crowded place like a mall and see other women with great hairstyles. What do you do? You try to gaze from a distance, do a quick glance or pretend to ignore the “sista” completely by looking away in an attempt to show her that you feel your hair is just as fly as hers… Not me–not anymore. In the world of natural hair we need each others’ support (one of the very reasons why I started this blog and why I am so thankful for wonderful vloggers!). Without chatting with another hair stylista, I would have never known that regularly using water in my hair is good for my hair in its natural state. I was still under the impression, after many years with a perm, that water was an acid to my hair, making it frizzy and potentially disturbing my “do”. I am a naturally outgoing person, literally feeling bold enough to approach any person to either encourage them, compliment them or ask for the earrings in their ears! LOL… Being natural, has caused me to be even more so. I now compliment every natural hair woman I meet, offering her encouragement because this is a life changing, beautiful process. While many women walk around natural, they may not always feel so confident. Also, in complimenting others, I find that they don’t mind taking the time to discuss what they did to their hair to accomplish the style. This helps add to my data base of possible “dos”. Anyways, Raisa and I actually called one girl over to where we were to compliment her–she was amazingly gorgeous! She reminded me of the vlogger, NikkiMae–she was just as sweet as NikkiMae too! We spent almost an hour discussing hair regimens, products (she recommended Herbal Essences conditioner in the blue bottle), our big chops and more! I don’t even think we really realized how much time went by! As you can see from how much I post about my hair on this blog, I personally love to discuss napturality! 🙂 But many other women do too. The three of us decided to stay in touch and meet again to discuss… hair. Raisa and I have a new friend! This entry was posted on September 4, 2014 by LaQuisha Hall in Natural Hair Flair, Throw Back Thursday (TBT).